H. M. Özaktaş, B. Barshan, D. Mendlovic, and H. Ürey, ``Space-variant filtering in fractional Fourier domains,'' in Optical Computing, edited by B. S. Wherrett and P. Chavel, pp.285-288, Institute of Physics Conference Series 139, Bristol, U.K., 1995 (invited article). K. Altun and B. Barshan, ``Performance Evaluation of Ultrasonic Arc Map Processing Techniques by Active Snake Contours,'' in Springer Tracts in Advanced Robotics (STAR), H. Bruyninckx, L. Preucil, M. Kulich, editors, European Robotics Symposium 2008, vol.44, pp.185-194, Springer: Berlin, Heidelberg, February 2008. A. Erden, B. Barshan, B. E. Platin, E. Kocaoğlan, M. K. Özgören, Z. Erden, editors, Proceedings of The 6th International Conference on Mechatronic Design and Modeling, Middle East Technical University, Ankara, September 2002. B. Barshan and D. Başkent, ``Map building from range data with mathematical morphology,'' in Active Sensors for Local Planning in Mobile Robotics, P. Probert Smith, editor, World Scientific Series in Robotics and Intelligent Systems, vol.26, chapter 7, pp.111-135, World Scientific, New Jersey, December 2001 (invited). E. Karaşan, M. Alanyalı, B. Barshan, O. Arıkan, editors, Proceedings of the IEEE 7th Conference on Signal Processing and Applications, in Turkish, Bilkent University, Engineering School, Bilkent, Ankara, June 1999. B. Barshan, ``Gyroscopes,'' (invited refereed article) Wiley Encyclopedia of Electrical and Electronics Engineering, John G. Webster, editor, vol.8, pp.545-567, 1999. Invited to contribute the material (including all experimental and numerical results and figures) for the section ``Inertial Navigation-Gyros,'' in the book Navigating Mobile Robots: Systems and Techniques, by J. Borenstein, H. R. Everett, and L. Feng, pp.118-119, A. K. Peters, Massachusetts, U.S.A., 1996. H. M. Özaktaş, B. Barshan, D. Mendlovic, and H. Ürey, ``Space-variant filtering in fractional Fourier domains,'' in Optical Computing, B. S. Wherrett and P. Chavel, editors, pp.285-288, Institute of Physics Conference Series vol.139, Bristol, U.K., 1995. Refereed publication appearing in the Science Citation Index based on an invited presentation at the ICO International Conference, August 1994, Edinburgh, U.K.
B. Barshan and H. F. Durrant-Whyte, ``An inertial navigation system for a mobile robot,'' Proceedings of 1st IFAC International Workshop on Intelligent Autonomous Vehicles, pp.54-59, April 1993, Southampton, U.K.
İ. Ş. Yetik, H. M. Özaktaş, B. Barshan, and L. Onural, ``Perspective transformations in the space-frequency plane (Perspektif dönüşümünün zaman-sıklık düzleminde incelenmesi),'' Proceedings of the 8th IEEE Conference on Signal Processing and Applications, pp.629-633, June 2000, Belek, Antalya, Turkey. B. Barshan and A. Ş. Sekmen, ``Localization and curvature estimation of spherical targets using a multiple sonar configuration (Çoklu sonar düzenleşimi ile küresel cisimlerin yarıçap ve konum kestirimi),'' Proceedings of the 5th Conference on Signal Processing and Applications, pp.173-178, May 1997, Kuşadası, Aydın, Turkey. B. Ayrulu and B. Barshan, ``Fusion of sonar data using evidential reasoning and simple voting (Hedef sınıflandırmada akustik verilerin kanıtsal akıl yürütme ve basit oylama yöntemleriyle tümleşimi),'' Proceedings of the 5th Conference on Signal Processing and Applications, pp.184-189, May 1997, Kuşadası, Aydın, Turkey. B. Barshan and O. Arıkan, ``A performance analysis of two linear array processing algorithms for obstacle localization (Noktasal cisim konum kestiriminde iki farklı dizilim işleme algoritmasının başarım analizi),'' Proceedings of the 3rd Conference on Signal Processing and Applications, pp.237-242, April 1995, Cappadocia, Nevşehir, Turkey. B. Barshan, ``Error modeling of inertial navigation sensor signals for robotics applications (Robotik uygulamalarda eylemsizlik duyucularından elde edilen sinyallerin hata modellemesi),'' Proceedings of the 2nd Conference on Signal Processing and Applications, pp.240-245, April 1994, Gökova, Muğla, Turkey. B. Barshan, ``Inertial navigation systems for robotics applications (Robotik uygulamalarda eylemsizlik duyucuları),'' Mekatronik Tasarım ve İmalat çalışma Toplantısı Kitapçığı (Proceedings of Mechatronic Design and Production Workshop), pp.91-100, November 1993, METU, Ankara, Turkey. H. Özaktaş, B. Barshan and D. Mendlovic, ``Convolution, filtering, and multiplexing in fractional Fourier domains,'' Frontiers in Information Optics, Meeting Digest, pp.190, April 1994, Kyoto, Japan. B. Barshan and R. Kuc, ``Sonar system for obstacle localization with insights from the echolocating bat,'' 120th meeting of the Acoustical Society of America, pp.S5, November 1990, San Diego, California, U.S.A.
``Wearable Sensor Systems and Some Application Areas,'' Middle East Technical University, Department of Electrical and Electronics Engineering, March 2017. 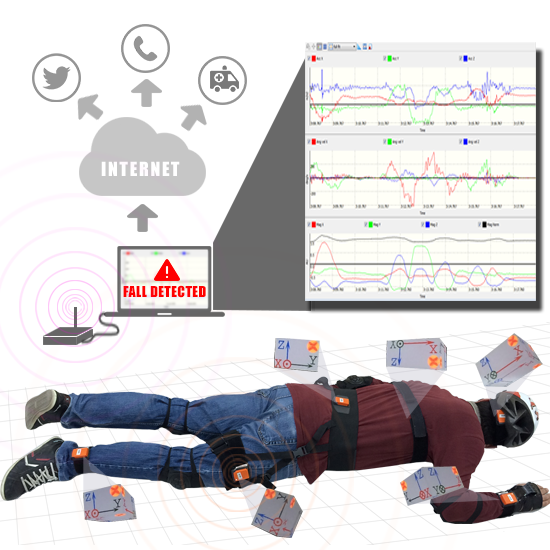 ``Wearable Sensor Systems,'' Fraunhofer Institute IIS, Erlangen, Germany, September 2015. 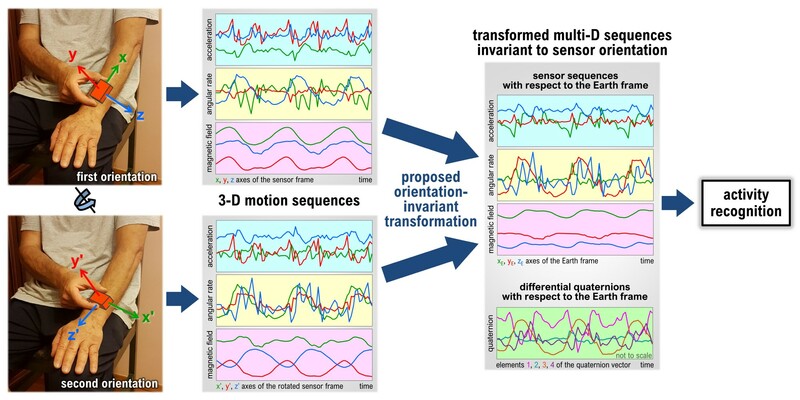 ``Classifying Human Activities Using Miniature Body-Worn Inertial Sensors and Magnetometers,'' COST-IC0903: Knowledge Discovery from Moving Objects (MOVE), University of Zurich, Zurich, Switzerland, June 2010. ``Akıllı Sistemler için Ultrasonik ve Kızılberisi Algılama,'' TOBB University of Economics and Technology, Multi-Agent and Networked Dynamic Control Systems Workshop, Ankara, Turkey, June 2007. ``Sensing for Mobile Robots,'' Bilkent University, Association for Computing Machinery (ACM) Special Interest Group on Artificial Intelligence (SIGART), Ankara, Turkey, December 1995. ``Inertial Navigation Systems for Mobile Robots,'' Hacettepe University, Ankara, Turkey, November 1994. ``Evaluation of an Inertial Platform for Mobile Robot Applications,'' TÜBİTAK-SAGE, Ankara, Turkey, October 1994. ``Bat-Like Sonar for Guiding Mobile Robots,'' Transitions Research Corporation, Bethel, Connecticut, U.S.A., June 1991. ``A Sonar-Based Mobile Robot for Bat-Like Prey Capture,'' California Institute of Technology, Pasadena, California, U.S.A., May 1991. ``Bat-like Sonar System Strategies for Mobile Robots,'' University of North Carolina at Charlotte, Charlotte, North Carolina, U.S.A., March 1991. B. Barshan, ``A Sonar-Based Mobile Robot for Bat-Like Prey Capture,'' Department of Electrical Engineering, Yale University, New Haven, Connecticut, U.S.A., December 1991. B. Barshan, ``Robotbilimde algılama'' (``Sensing in Robotics''), TMMOB Elektrik Mühendisleri Odası, İzmir Şubesi Bülteni, in Turkish, vol. 12, no. 120, pp.22-23, April 2000. B. Barshan, ``Robotbilimde doğadan esinlenebilir miyiz?'' (``Can robotics be inspired by nature? ''), Popüler Bilim (Popular Science), in Turkish, vol. 1, no. 7, pp.28-31, June 1994. B. Barshan and H. F. Durrant-Whyte, ``Inertial Navigation Systems for Mobile Robots,'' Robotics Research Group, Oxford University, Technical Report No. OUEL 1998/93, 1993. B. Barshan and H. F. Durrant-Whyte, ``Evaluation of a Solid-State Gyroscope for Robotics Applications,'' Robotics Research Group, Oxford University, Technical Report No. OUEL 1957/92, 1992. B. Barshan, ``Numerical Recipes in Pascal: The Art of Scientific Computing,'' book review, American Scientist, p.384, July-August 1990.